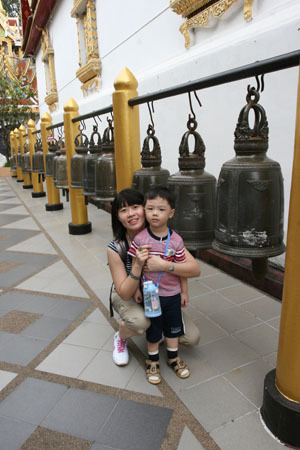 Angelia and Aiken taking a shot with the row of buddhism bells at the side of the compound. 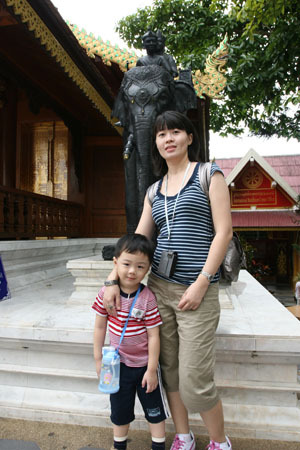 Taking a pic in front of the elephant statue. 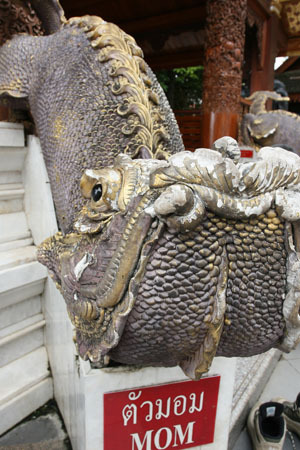 The whole temple is filled with numerous statues and small shrines. An interesting creature at the side of the steps. 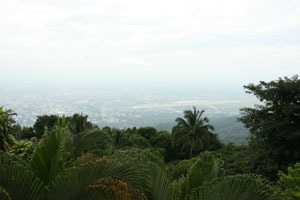 The view of Chiangmai city at the side of Doi Suthep. This is the entrance to the museum of the temple. Did not go in for a look as we wanted to walk around the area more.